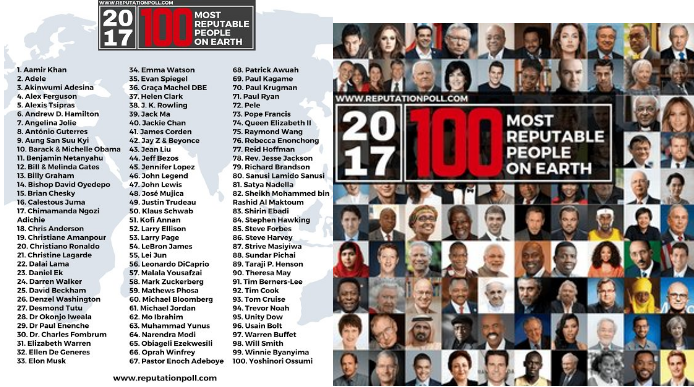 Global performance-reputation management consulting agency, Reputation Poll International has announced its inaugural list of 100 Most Reputable People on Earth on Monday. 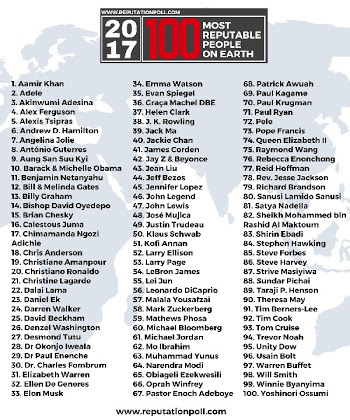 According to the highly-revered group, the list comprises individuals across the globe, who have amassed high reputation for themselves through their works and achievements, and some respected men of God from Nigeria made the list. The list features popular individuals from diverse sectors including: policy, entertainment, leadership, education, business, religion, et al.